Struggling with your toddler’s sleep problems and naps? Discover several daily examples of a 1 year old sleep schedule that actually work and are easy to customize to your needs. Sometimes losing sleep is healthy (now there’s a novel thought!). 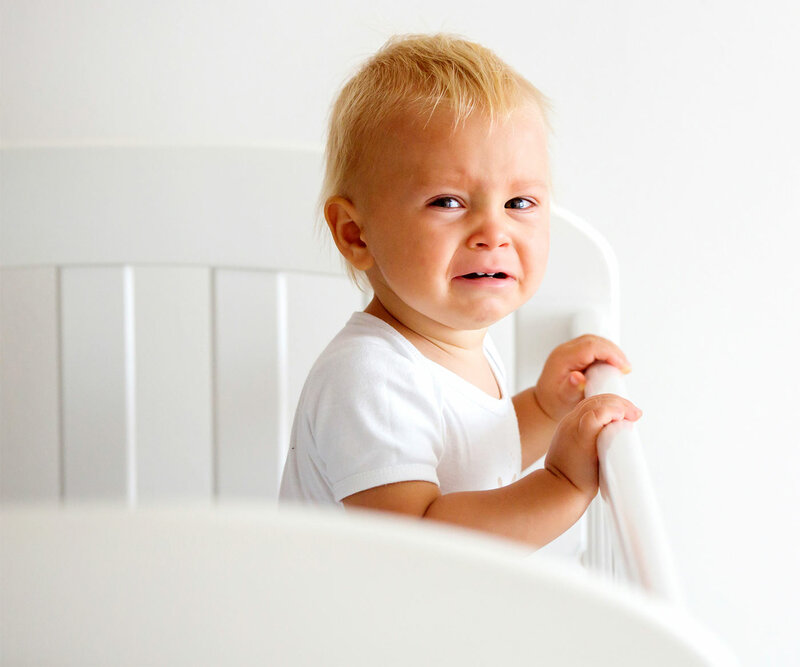 Because at some point after turning one, most toddlers will drop to one or two naps a day, far less than the frequent naps they’d taken as an infant. For us parents, fewer naps can be both good and bad. With naps often a source of frustration (especially skipped ones), we’re glad to have fewer of them. We’re also freer to do more things during the day. After all, trying to squeeze fun outings between three or four naps isn’t exactly easy. On the other hand, fewer naps also means fewer breaks. No matter how erratic or short those naps could be, they were a welcome source of alone time. But perhaps the harder adjustment to the toddler stage is establishing a 1 year old sleep schedule. You know how it goes: your child sometimes needs a nap, but other times he’s totally fine without it. Or maybe he fights taking a nap, but then is grumpy the rest of the day from being awake so long. Then when you try to adjust for less sleep, the quality of his naps goes down—they’re short and fitful, and he often wakes up cranky. The worst part? When the lack of structure or sleep causes him to wake up two or three times a night crying, especially on those days when he takes fewer naps. No wonder I felt like I didn’t know what to do. I’ve always relied on schedules, so it’s easy to feel overwhelmed when trying to adjust with these changes. Over time, I realized one crucial lesson: schedules are more flexible than they seem. 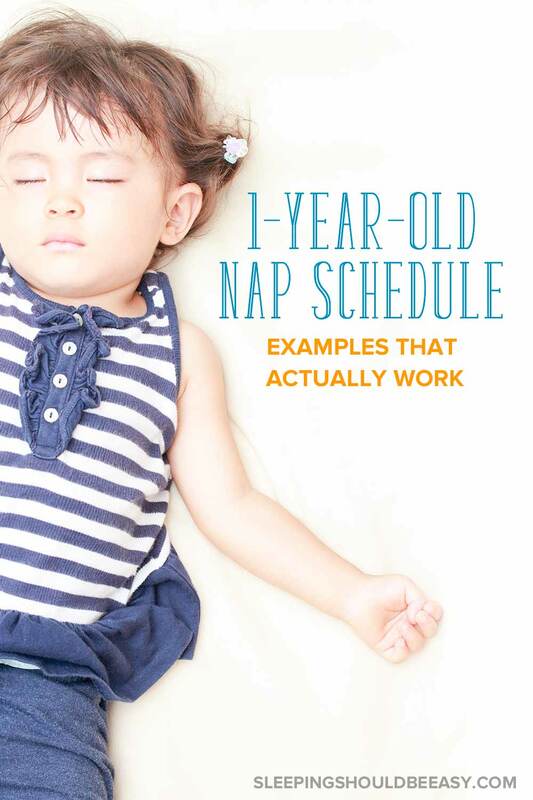 Want to determine whether your child is ready to drop a nap? 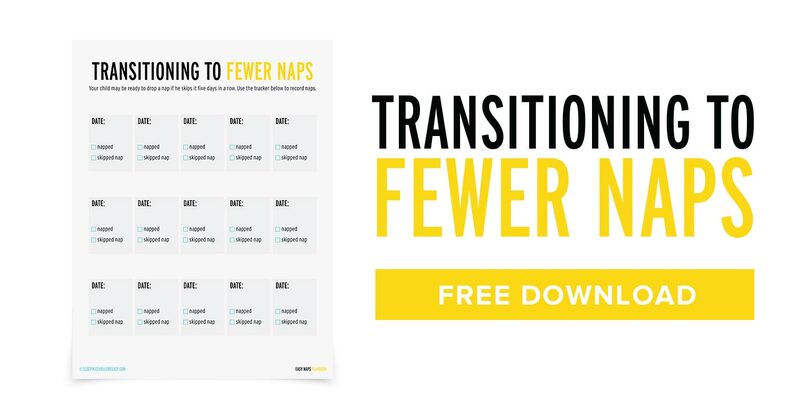 Download my printable, Transitioning to Fewer Naps! Use it to record when your child is likely ready to take one less nap (hint: 5 days in a row is a good indicator!). Get it below—at no cost to you. Rather than going by the clock, you can also adjust naps depending on how long your child has been awake and asleep. For instance, if your toddler is taking two naps a day, aim to have 3—4 hours of awake time between sleep. If she’s taking one nap a day, aim for 4—6 hours of awake time instead. If any of the naps were shorter than usual, move the next nap, or even bedtime, sooner to accommodate your toddler’s tiredness. Find ways to fill your toddler’s awake time with activities to tire her out. Activities like the YMCA, play dates, park outings, library story time, eating at a restaurant, or running errands are a few examples. Try not to let your toddler sleep in the car when out on short drives, as this can make it harder for her to take a nap once you get home. Talk to her in the car, give her a toy to play with, or even a snack to eat to keep her awake. Get more tips on creating a toddler schedule. If there’s one thing I’ve learned about a 1 year old sleep schedule, it’s that we need to be both consistent and flexible. Consistency gives your toddler the familiarity to know what to expect, and you the structure you need to feel organized, not overwhelmed. But a 1 year old sleep schedule also needs to be flexible. Because kids aren’t robots. Life happens, like when she takes a 30-minute nap one day, and a three-hour nap the next. When the car wash took longer than you expected, or your child slept in the car on the way home from the library. Aim for consistency, knowing it’s that regularity that will help buffer those days when you’re so far from your usual routine. Did you like this article about a 1 year old sleep schedule? Save it on Pinterest! Wondering if your child is ready to drop a nap? Grab your printable to make record keeping easier. Now you don't have to wonder if your child has been napping well—you'll have a record telling you exactly the information you need. I wish my toddlers napped as well as these schedules suggest. Their naps are nearly non-existent as they make the energized bunny look like he’s going slow. Otherwise, we found the best thing to do is keep the same wake-up and bed time schedule, no matter how hard it was for us parents. We found with these constant times, our little ones eventually found a sleep schedule that works for them. Lol Micah! I totally agree about same wake-up and bedtime schedule. It’s something we’ve been doing since forever and works really well for us as well. My child consistently sleeps 10 hours a night, sleeping thru the night, and then takes two 2 hour naps during the day. Do you see any issue with this? She is a very happy baby on this sleep schedule. Hi there! This sounds like a fantastic schedule to me 🙂 One-year-olds tend to sleep for 14 hours, which is exactly what your daughter is doing. What if your child wakes up at 5 no matter what time they go to bed? When should their one nap be? Also do you give them lunch before or after? Hi Kaylyn! If he wakes up early, I wouldn’t get him just yet until the “official” wake up time, and then stretch that one nap as reasonably close to your original plan. So if he was going set to sleep by 12pm but woke up at 5am, I’d start looking to see if he’s ready to sleep by 11 or 11:30 if he gets grumpy. But as much as possible, I’d try to stick to the original plan so that he adjusts to the schedule you want, including waking up later than 5. As far as lunch, they ate before that one nap, at 11am, giving them about half an hour to relax before nap. Then when they woke up 2 hours later, I’d then give the afternoon snack. I do know though that some parents give a snack before nap instead, then a lunch when they wake up, so it’s totally up to you.